Weddings are a magical occasion, but they can also be a whole lot of stress. Not only for the couple getting married but for everyone who’s invited. Between the engagement party, bachelorette party and the big day itself, there’s a lot of money to be spent, presents to be bought and, of course, outfits to be planned. 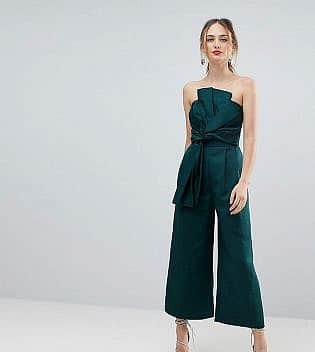 While we all know to go all out for the wedding outfit and to dress for a night on the town for the bachelorette party, we can often end up stumped when trying to think of engagement party outfit ideas. No matter if you’re the bride-to-be or a guest to the event, deciphering what to wear can be tricky business. 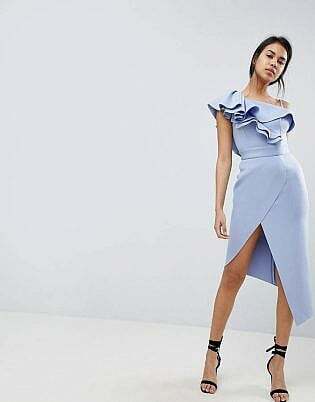 Below we show you some expert style tips on what to wear to an engagement party. 1 What Happens at an Engagement Party? What Happens at an Engagement Party? Engagement parties can be vastly different events. 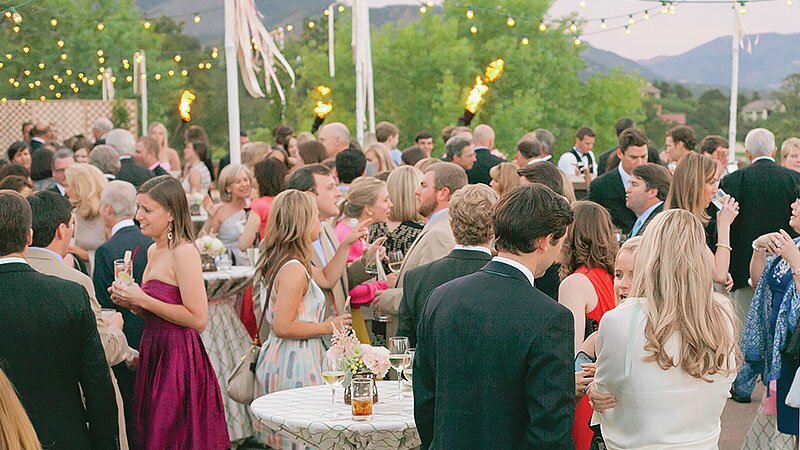 While most may be the traditional cocktail parties, others can be formal dinners, afternoon drinks or even backyard barbeques. The one thing that they all have in common is that they’re a lot of fun! That doesn’t mean that you can let loose and go completely wild, though. Have a good time but act respectful of the occasion. Make sure to greet your hosts first when you arrive and thank them before you depart. Try to stay for at least a couple of hours (including speeches) or most of the night if you are close to the couple. During the party alternate between circulating the room to talk to other guests, eating the delicious food provided, and having a dance on the dancefloor. Most of all, remember to enjoy yourself on this happy occasion by dressing confidently and comfortably. When attending an engagement party, make sure that you check the dress code. You can usually find this on the invitation, but if not, consider asking your host. Dress codes make it easier to decipher what to wear to the occasion and help give you an idea of what others will be wearing, so you don’t feel out of place. If you choose to ignore a dress code, you may be insulting your host, so it’s always best to dress accordingly. Most engagements typically have a cocktail dress code, calling for dresses at, or slightly above, knee-length and high heels. If your party states a different dress code, however, such as semi-formal or dressy-casual, you may need to dress up or down accordingly. Use this helpful dress code guide to find out the general styles that you should be wearing. Knowing the location of the engagement party is crucial to planning what you’re going to wear. The location, along with the dress code, will provide you with the critical information for deciding which outfits are appropriate and which are not. The site of the event should also be given on the invitation. If it simply states an address, or you are unfamiliar with the venue, try googling for some more information or asking your host. 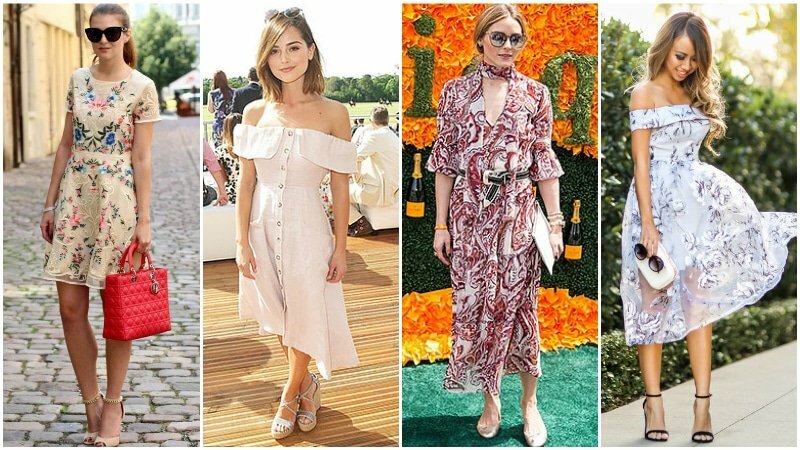 As a general rule of thumb, outdoor parties require a more casual dress code, including flats or wedges if on grass or at the beach. The weather should also be taken into consideration for outdoor engagements. If the party is indoors, dress up or down according to the venue. 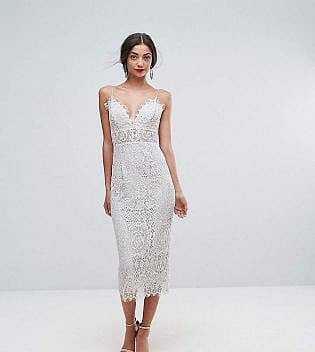 If it’s at a casual restaurant or someone’s house, dress relaxed but chic in your favourite weekend wear, but if the venue is a formal restaurant or function space, wear a polished dress and heels. When the engagement party is your own, it can be both easier and harder to plan your outfit. On one hand, you’re the one choosing the venue, theme and dress code, and can choose whatever you want to wear. On the other hand, what you wear will set the tone for what others will wear, and people will be expecting your outfit to be the best of the night. Our advice is to pick something that makes you feel confident and comfortable. Choose an outfit that reflects your personality and the personality of your engagement party. Whether you want traditional white or something with a little more colour, if the dress feels right to you, go for it. It’s your engagement after all! As an engagement party guest, you want to look amazing, but not quite as amazing as you will on the actual wedding day. 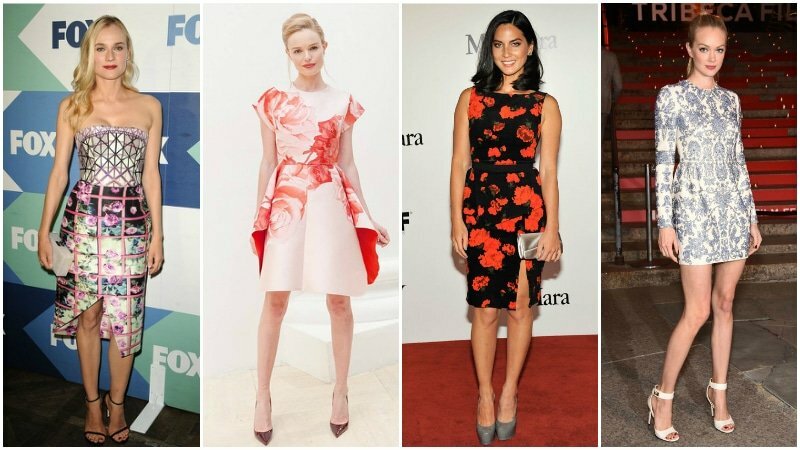 As most engagements specify cocktail attire, choose a fun dress, that is equal parts polish and party. Try to steer away from white unless you know for a fact that the bride-to-be isn’t wearing it. Black, on the other hand, is fair game and can make an elegant choice for an evening event. Just remember, it’s a celebration, not a business conference, so try to have some fun with your outfit. Prints, bold block colours and playful accessories can all be great choices for injecting some energy into your party outfit. Speaking of energy, make sure yours doesn’t drain too quickly with painful shoes. Plan for a long night (or day) of circulating the room and dancing your heart out with comfortable yet fashionable footwear. All white is the traditional outfit choice for brides-to-be at their engagement parties. The pure and classical colour has been worn for many years and offers a timeless quality to engagement outfits. Very “bridal” in nature, wearing white at your engagement party will undoubtedly keep the spotlight on you for the event. If that doesn’t sound like your thing, however, opting for print or colour instead. Prints are often an excellent way to turn up the style factor on an outfit. In a sea of dresses, you want to stand out (at least a little! ), and a print will help you do that. Fun, and often filled with colour, prints are perfect for those summer engagement parties. Choose a more simple cotton print dress for a daytime party or a printed silk number for the perfect after-five style. While prints never fail to pack a punch, block colours can often be just as impactful. 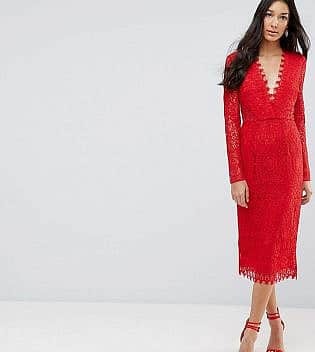 Bold, striking and more eye-catching than the usual black, bright block colours, such as magenta, cobalt, fuschia and tangerine, can really create a standout dress. Likewise, this year’s favourite pastel colours, powder blue and soft pink, can also create eye-catching looks that break free from the mould. Just remember, if you choose a block-colour outfit, to keep everything else simple and understated, including silhouette, accessories and hair. The colour is your feature element. As previously mentioned, the location of the engagement party is an essential piece of information for planning what you will wear. 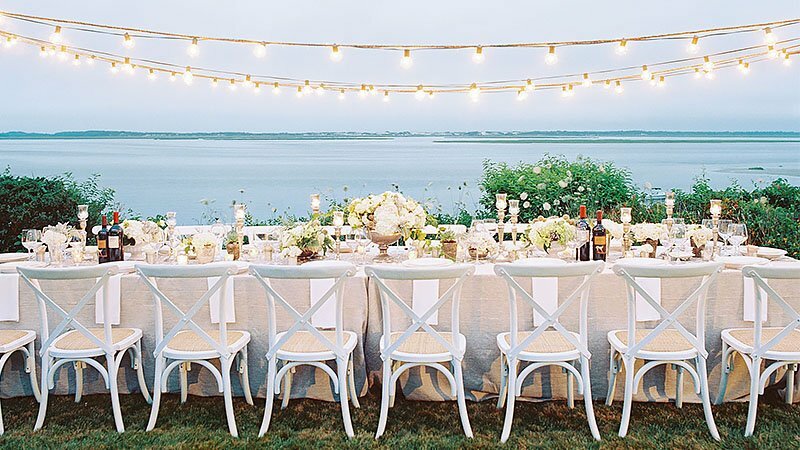 Outdoor engagement parties often take place in gardens, backyards, or even at the beach, so you must plan accordingly. Choose outfits that are more casual than formal and wear appropriate footwear. As outdoor parties usually take place during the day, try a simple maxi dress or sundress instead of the usual cocktail attire. 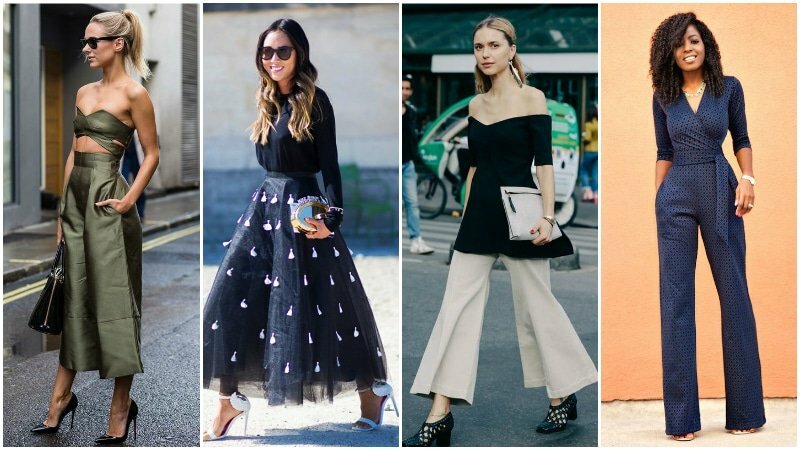 Not every woman wants to wear a dress to an engagement party, and the good news is that you don’t have to. If you feel more comfortable in pants and a top, or prefer the style of a jumpsuit, go ahead and ditch the dress. As long as you still look stylish and dressed to the same degree of formality as the rest of the guests, a non-traditional outfit can be the perfect look.